Opening Path / Abriendo Camino, originally uploaded by victor_nuno. Even through stone. Even through narrow cracks. 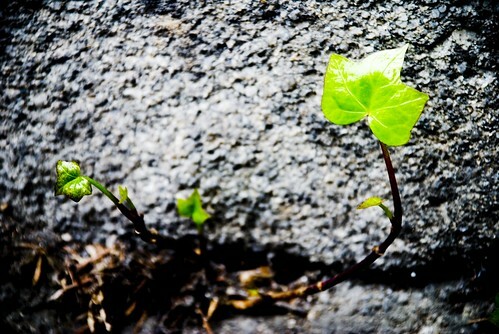 Life manages to find its way through and come out. No matter our problems, life always tell us the ways we have to find our own Path. Incluso a través de piedra. Hasta por estrechas grietas. La vida consigue encontrar su camino y salir adelante. A pesar de nuestros problemas, la vida siempre nos dice los modos en que podemos encontrar nuestro Camino. Uploaded by victor_nuno on 17 Apr 07, 12.52AM CEST.